Newland apprentice Jake Hatton has been joined by his younger brother Joel this week. He will be working with his brother in the machine fitting workshop for the next few months before joining the RAF as an apprentice Aviation & Avionics Engineer. Joel has recently finished High School where he achieved his desired grades in his GCSEs. 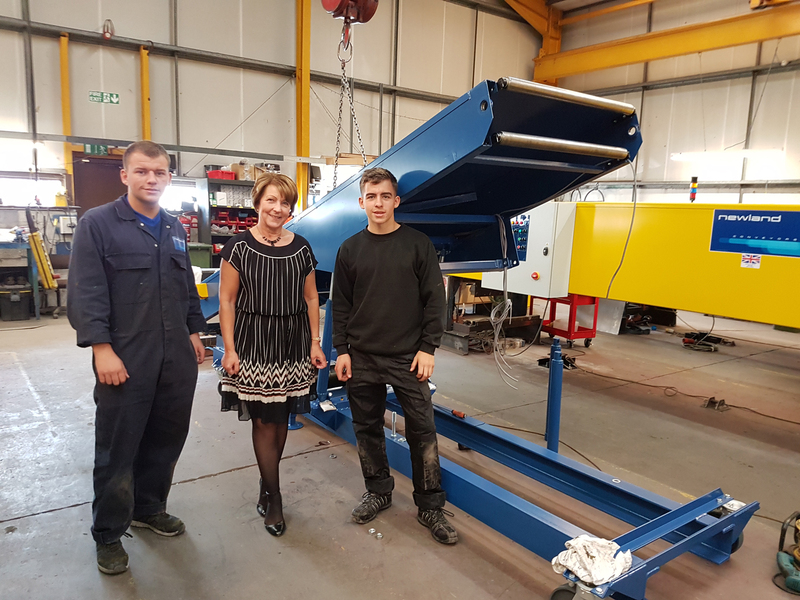 Attached photograph shows Managing Director Mrs Lynn Kerfoot with Jake on her right & Joel on her left.